We recognize the overwhelming feeling our patients experience when they don’t have adequate resources when considering if they will choose life. In fact, patients have repeatedly stated that when they were presented with tangible resources, they were able to consider choosing life for their unborn children. Hosting a Gift Card Shower is an easy yet powerful way to partner with us and directly meet the needs of our moms. Throw a simple and fun party and invite guests to baby items and/or gift cards that will be given on an as-needed basis to new moms in our centers. A representative from Hope can come and make a brief presentation about Hope and feature stories of women who have been helped at Hope. Request gift cards be given in denominations of $10-$25. Request gift cards from stores where moms can easily get the majority of their children’s needs met, such as places like Target, Walmart, etc. Encourage the donor to include a card to accompany the gift card, further encouraging the new mom and dad. Gift card showers are a great idea for all types of community groups. Small groups from churches, missions organizations, businesses, VBS groups, moms groups, homeschoolers, and singles groups and many others have participated in helping to meet the tangible needs of our clients. In addition to donating gift cards, we have also had local churches and groups in the community throw baby showers for our patients, to bless those that have chosen to parent their children. Would your group / church consider hosting a baby shower for our patients. It is unfortunately not uncommon to find patients who do not have anyone pouring into them or encouraging them. Our patients could use tangible support but we would also love for a group to come alongside our patients to speak to them about God’s everlasting love for them. 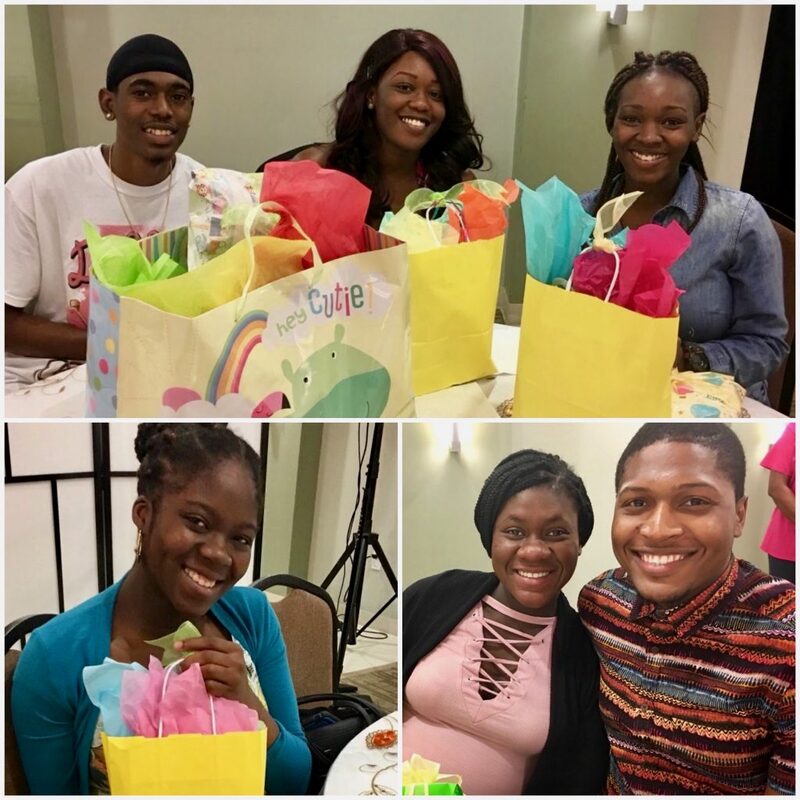 Some of our previous patients have been blessed with groups who have thrown them a baby shower (see below pictures). It is always such a special time and for many of our patients, it is the only baby shower they receive. We would love to help assist you. To organize an amazing outreach to benefit our patients, please contact us for more information: email our events team or call us directly at 954-372-7089.